On February 1, 2019, while the snow fell in their hometown, Adrianna and Marcel enjoyed their beautiful wedding in Puerto Vallarta at the Iberostar Playa Mita Resort. Everything was just as they hoped and dreamed, but it wasn’t without proper preparation and planning. Funjet Vacations’ Weddings by Funjet team had a lot to do with helping make the couple’s dream destination wedding a reality. The two came to Funjet with an idea in mind and a few requirements—a beautiful location with great weather in February, a resort affordable for guests and a resort with experience hosting weddings. 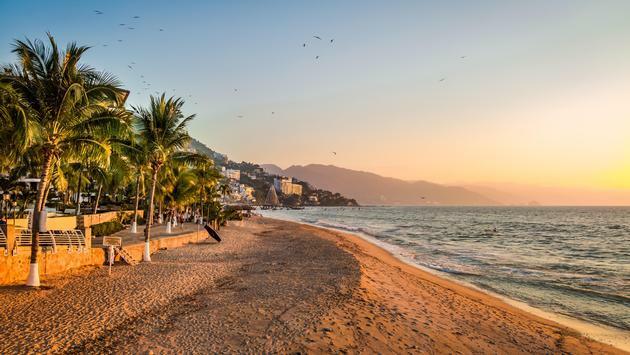 Once Funjet and the couple landed on the Iberostar Playa Mita Resort in Puerto Vallarta, the rest sort of fell into place. Funjet has partnerships with not only Iberostar but many other resorts as well. This makes getting in touch and working with the wedding departments on the properties a lot easier. The team at Weddings by Funjet is dedicated to taking a couple’s wedding wishes and creating a magical experience that they’ll remember for years to come. No two weddings are the same, and the wedding specialists enjoy taking the time to listen and acknowledge the needs of each wedding group. Whether it’s a small intimate ceremony poolside or a large celebration on the beach, Funjet is ready to make it happen. To view the stunning photos of Andrianna and Marcel’s destination wedding or to start planning your own, visit the Weddings by Funjet blog.